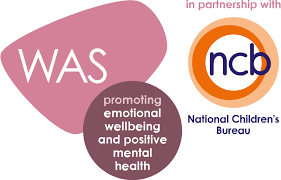 At Leys Primary School, we are excited to be working towards the Wellbeing Award for Schools, administered by Award Place, in partnership with the National Children’s Bureau. We have signed up to this award to further develop our work to promote positive wellbeing and mental health for the whole school community and gain accreditation for the work we have already done. It also ties in with our school motto of Resilience to Achieve – Aspiration to Succeed, as we firmly believe that both a healthy mind and body are prerequisite to achieving the best versions of ourselves. There are eight objectives to achieve within the Wellbeing Award Framework, containing several Key Performance Indicators (KPIs) set out within each. The award focuses on ensuring effective practice and provision is in place that promotes the emotional wellbeing and mental health of both staff and pupils. Many of these are already in place. The award will enable us to develop these practices where necessary and help us to ensure that wellbeing is rooted in the long-term culture of our school. It will help us to create an ethos where, like safeguarding, mental health is regarded as the responsibility of all. There have been a number of ways you have recently contributed to helping us work towards this award, including taking part in the WAS parent survey and participating in the wellbeing homework activity set over the last Christmas holiday. Thank you for your continued support in this area. For more than 50 years NCB have been making a big difference to the lives of children and young people, especially the most vulnerable. Over the last 50 years they have developed several member groups and dedicated networks on issues such as bullying, early childhood, special educational needs and childhood bereavement. Some of their achievements include: founding the Council for Disabled Children (CDC), launched the Childhood Bereavement Network; successfully campaigned for the new national curriculum to embed financial education in both mathematics and citizenship education, so children can be taught the basic skills of how to manage money. Band Together Advice and support in just a few minutes. BanD Together is the local deployment of CommunityConnect in Barking and Dagenham. BanD Together is the brand used for partnership work across the sectors in the borough. Family Lives: Listening, Supportive and Non-judgemental People contact us about all aspects of family life that include all stages of a child’s development, issues with schools and parenting/relationship support. We also respond when life becomes more complicated and provide support around family breakdown, aggression in the home, bullying at school, teenage risky behaviour and mental health concerns of both parents and their children. We provide a 24 hour helpline, advice website, live chat and parenting/relationship support groups. Young Minds: fighting for young people's mental health We’re leading the fight for a future where all young minds are supported and empowered, whatever the challenges.